HGA is pleased to announce that it has been named a winner of the 2018 IIDA Healthcare Design Awards for The Elsie & Marvin Dekelboum Family Foundation Molecular Imaging Center. This annual design competition honors and celebrates outstanding originality and excellence in the design and furnishings of healthcare interior spaces. 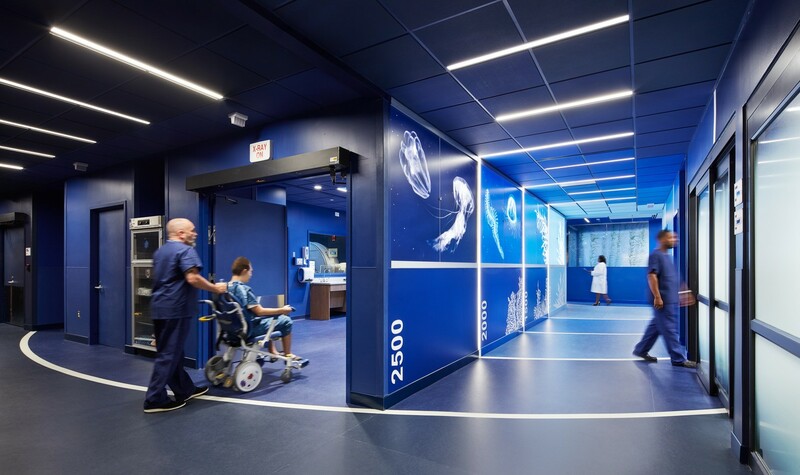 Located within Children’s National Medical Center, The Elsie & Marvin Dekelboum Family Foundation Molecular Imaging Center design features a bioluminescent ocean setting that creates a calming, interactive environment for patients and families. All winning projects will be recognized during a special awards reception on Thursday, Nov. 8, 2018, in the IDEA Studio at IIDA Headquarters in Chicago, Illinois. Winning projects are featured on the IIDA website and will be published in an issue of Healthcare Design Magazine. For more information, contact Clare Socker, design competitions manager, at csocker@iida.org.